you’ve probably had a corn dog or three in your lifetime, but none like this one. 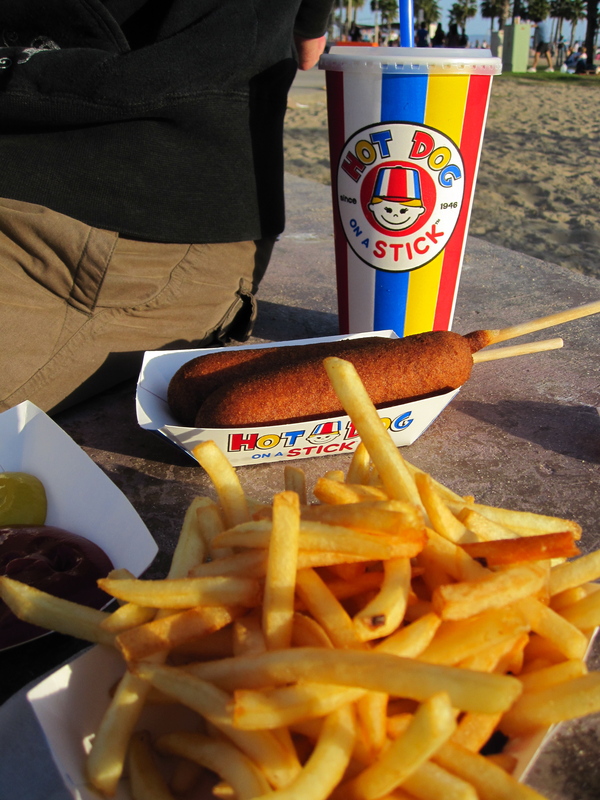 yes, they have hot dog on a stick franchises at the mall, but again, nothing compares to the stand in santa monica or venice. the hot dogs are on wooden sticks, like they were in 1946. AND they serve turkey hot dogs that taste like beef hot dogs! the outside is crispety-crunchety and the inside is savory and sweet and just nom noms. order a side of fries and a large cherry lemonade to complete the beach meal trifecta. Hot Dog Stick? I ❤ Hot Dog Stick!